IMPORTANT DISCLAIMER: You are welcome to use this page as a guide for your training, but please be aware that it will be replaced as soon as the” TPM Process Manual” is released (Late Spring 2019). This study guide is designed to help you to navigate through the TPM training. 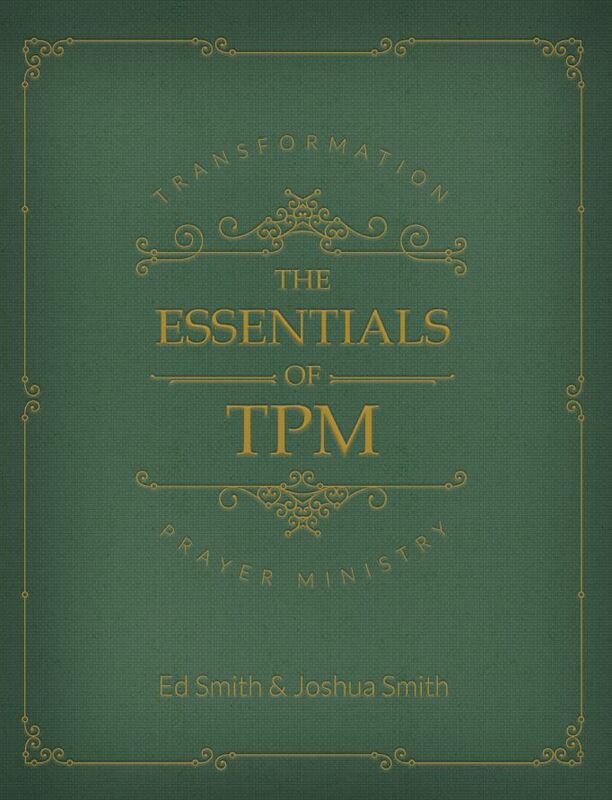 It is structured primarily around the book entitled, “The Essentials of Transformation Prayer Ministry.” In the near future, another book, entitled “The TPM Process Manual,” will be added to this study guide, and it will discuss the actual protocol for applying TPM in detail. This study guide will lead you to online articles regarding the TPM Process that will serve as a stopgap until the Process book is released. You can order your physical copy of the training material (or download a free digital version) using the links provided below. The “Essentials” book is the centerpiece of your training. However, there is much more information that you will need to fulfill your training. This study guide will direct you to other sources of information (including articles, videos, and practice exercises) as you work through each of the chapters in the “Essentials” book. As of this writing, everything you need is freely available on this website. This guide has been compartmentalized and organized into a twenty-week format. Each week lists the training material that is to be read, viewed, or practiced before the corresponding week’s meeting. The articles, videos, and practice lessons are arranged in the order that you are to work through them. The items labeled “Going Deeper” are not mandatory, but they can be very helpful in expanding your understanding of various topics covered in the TPM training. You can print out this page in order to help you keep track of your training assignments. NOTE: The blue text contains links to articles and videos. If an article contains videos, we highly recommend that you view them, as they supplement and expand the written portion of the article!